We had a fantastic time meeting the team at The Run Company, Chichester today and getting geeky talking about running shoes. Great facilities (including a mini running track to test your new spikes out on!) and in-store orthotics and podiatry. We love meetings like these as it helps us form a network of local service providers and practitioners so we can refer you on for specialist support where needed. They can help with gait analysis, choosing the right footwear for the type of sport and running you do and nutrition! We are really looking forward to working with the i-Run team in the future! We are excited to announce Acorn Health in Emsworth has been awarded the highly regarded Patient Partnership Quality Mark (PPQM) from the Royal College of Chiropractors which recognise excellence in terms of meeting patient expectations. This award is a great contribution to the Emsworth health care community as less than 150 clinics in the whole of the UK hold a PPQM. 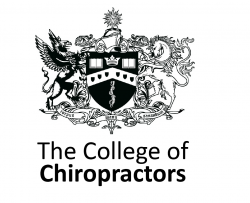 For more information about the Quality Marks, visit the Royal College of Chiropractors website here. We recommend you visit this youtube link to find out more about why water is and will always be the best drink for you and your healthy body. Click here to see more. Going out for a run this morning? Did you know that at even 5% dehydration, your maximal performance will have reduced from 100% to 70%! Water is often ignored, and passed-up in favour of more exciting drinks, but it is the single best thing that we can consume to help our bodies function properly and recover quickly. January is the time of year when some of us will set a new years resolution, and it’s not uncommon for these goals of “lose weight” or “get fit” to be at the top of the list. So why is it, that only after a mere 6 months later, only around 8% of us will have managed to stick to those resolutions? “Lose weight”, in itself, is a vague term. How much weight? How quickly? How am I going to achieve this? The way to success is to set yourself an achievable goal with tangible results. “I want to lose a pound a week, and my end goal is to lose half a stone. To do this, I’m going to cut down on the amount of fatty food I eat, and make sure I take a 20 minute walk around the town three times a week.” Avoiding overindulgence at Christmas will also put you in the right frame of mind to start 2015 off right- don’t set yourself up for failure by jumping on the scales after Christmas and berating yourself for the amount of mince pies you enjoyed, this is only going to make you feel worse! A positive attitude towards health and weight loss is important to ensure success. Christmas weight is, in itself, no harder to lose than any other weight. In fact, research suggests that sudden weight gain (the average person gains around 2lb between November to January) is easier to lose than weight that has been put on gradually, over several years. So why do we tend to put on weight over Christmas? A lot of us indulge in the occasional treat every now and then, but at Christmas we tend to indulge in fatty foods more frequently than we do throughout the rest of the year. It’s not just the food we need to think about, but the amount of alcohol we consume over the festive season- a 250ml glass of red wine contains around 230 calories. A few pints of beer soon adds up to a significant calorific intake at 170 calories a pint. So how can you help avoid piling on the pounds this Christmas? Start off by planning your meal and give nutrition a passing thought- why not purchase your fruit and vegetables from the market as close to Christmas day as possible? That way, they’ll stay fresh, and provided you don’t boil your Brussels sprouts into oblivion, will retain the majority of their nutrients. (Note for your diaries- the last farmer’s market in South Street is on 20th December so why not get your veggies then and support your local farmers? Website here) Turkey is a low-fat, high protein meat source so provided you can resist the temptation of the fatty skin on the outside, that won’t add inches to your waistline either. Delicious though it may be, drowning your booze-soaked Christmas pudding in brandy cream might just be an indulgence too far! The traditional post-Christmas walk is also an excellent idea, and it might surprise you to know that this has a solid research backing. Even just a 15-minute walk after a meal can improve digestion, helping to avoid the dreaded post-Christmas-dinner-bloat, and it will also reduce spikes in your blood sugar levels, which is excellent if you are a diabetes sufferer. Heading out for a walk after Christmas dinner is also a great opportunity to bump into friends and neighbours and wish them a happy Christmas too! Remember, always wear correct footwear when walking especially if icy underfoot! Stay ski-fit on the slopes! Off skiing this winter? You might find it more of a workout than you expect. Skiing involves a lot of the same muscles that are used when we squat, so one of the best ways to get yourself ski-fit is to practice your ski-squat! Click here to view a short how-to video. At altitude, the air is thinner, and so the heart and lungs have to work harder to pump blood and oxygen around your body. Bear this in mind, as you might find yourself getting more tired and out-of-breath than you would expect! Start working out with your ski squats regularly a few weeks before you’re due to go on holiday, focusing on stamina and strength to ensure you can maximise your time on the slopes. Running, walking, and step machines, as well as squat exercises, are a great way to develop the muscular endurance needed for skiing and snowboarding. You’ll be ski-fit and raring to go from day one on the slopes! We had a great outdoor bootcamp fitness session with Innovations Fitness today but can already feel the start of the dreaded DOMS (Delayed Onset Muscle Soreness)! 1- Replace fluids: Drinking plenty of water helps flush out toxins from your body and prevent dehydration (this can make muscle soreness even more painful!) Try to consume at least 2 litres water a day, more if you have been doing vigorous exercise. 2- Consuming a 2:1 ratio of carbs to protein either before, or after a workout, or both, may help reduce the severity of muscle soreness. 3- Get some rest! Good quality sleep is a must, as running a constant sleep debt can impair recovery. If you’re tired, you’re also unlikely to be able to work as hard as you’d like during your workouts, and this will stop you from acheiving your workout goals. 4- Stretch and keep moving! Stretching and keeping gentle active after exercise helps remove lactic acid (waste products from exercise that builds up in the muscles) and can also help prevent muscles from stiffening or cooling too rapidly, causing pain. 5- Ice baths may aid recovery as they cause your blood vessels to constrict and dilate, helping remove waste products in the tissues. Not brave enough for an ice bath? Try contrast therapy in the shower- alternate 2 minutes of hot water with 30 seconds of cold water. Repeat four times with a minute of moderate temperatures between each hot-cold spray.